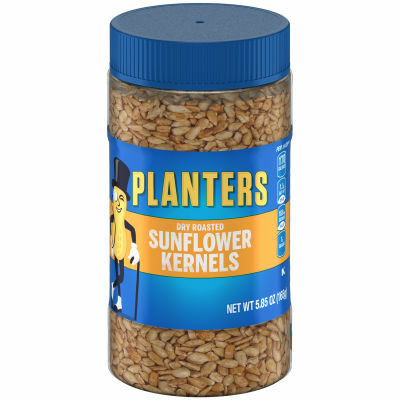 Planters Dry Roasted Sunflower Kernels - Planters Dry Roasted Sunflower Kernels have a delicate toasty flavor and a crunchy texture, making them a scrumptious snack and a perfect cure to your cravings. These tasty kernels are a good source of dietary fiber and are trans fat and cholesterol-free. Crunchy Goodness in Every Handful - Nutty and crunchy Planters Dry Roasted Sunflower Kernels are packed with flavor and nutrition. Enjoy them as a snack or add them to your favorite meals as a light garnish. With these dry roasted sunflower kernels, healthy eating can be delicious!